The first generation and second generation Pixel smartphones by Google were declared official on the 4th of October, but this year, we are made to wait a little longer to have a glimpse of what Google has in store for the 2018 Pixel smartphones. Finally, the phones have been made official by the company. The Pixel 3 and Pixel 3 XL followed the tradition of their predecessors, but there are some few changes that set them apart. No abrupt changes in their design element, but they are different. The phones still maintain the dual tone layer glass back (protected by Gorilla Glass 5), and are not quite big to hold in hand. What you will first noticed is the elongated display on the Pixel 3 and the notch on the Pixel 3 XL. In display aspect, nothing much has changed on the Pixel 3 XL, but that cannot be said about the Pixel 3. The display is larger (from 5-inch on Pixel 2 to 5.5-inch ) and the bezel is larger than ever despite following the 18:9 trend, which is kind of disappointing. The arrival of the notch on the Pixel 3 XL forced the aspect ratio to be 19:9, though the screen is slightly larger at 6.3-inch (from 6.0-inch on the Pixel 2 XL). Pure OLED display technology drive the display on the Pixel 3 and 3 XL, both supporting HDR. What further segregate the two device apart from their screen estate are their batteries. The younger packed a 2915mAh battery, which is quite an upgrade from the 2700mAh on its predecessor. The Pixel 3 XL, however, does experience a downgrade from 3520mAh on the Pixel 2 XL to 3430mAh. The phones supports 10W wireless charging and 18W wired charging. Apart from these differences, other specifications are the same for both models. Driving the hardware is an octa-core Snapdragon 845, downclocked by 0.2GHz to save the battery juice for longer usage time but at the expense of efficiency. The RAM still remains at 4GB and so is the internal storage, which is limited to 128GB. No supports for MicroSD slot yet. Nothing much has changed in photography too, the 12MP f/1.8 sensor still remains at the back, but dual wide-angle camera now sits at the front. Various software enhancements have been introduced with the cameras that make them more interesting - these includes "Top Shot" which uses AI to capture multiple shots then select the best photo for an user; "Super Res Zoom" that compensate for lose of details when zooming; "Night Sight" that enhances low-light shots without color lose and lose of details, and "Photobooth" that uses AI to recognize an user expression such as a smile or a laugh to determine when to capture a perfect selfie shot. The Pixel 3 and 3 XL runs Android 9.0 Pie out-of-the-box. The phones have dual front-firing stereo speakers like their predecessors, but Google claimed these are 40% louder. Moreover, these comes with improved IP68 water and dust resistant rating. 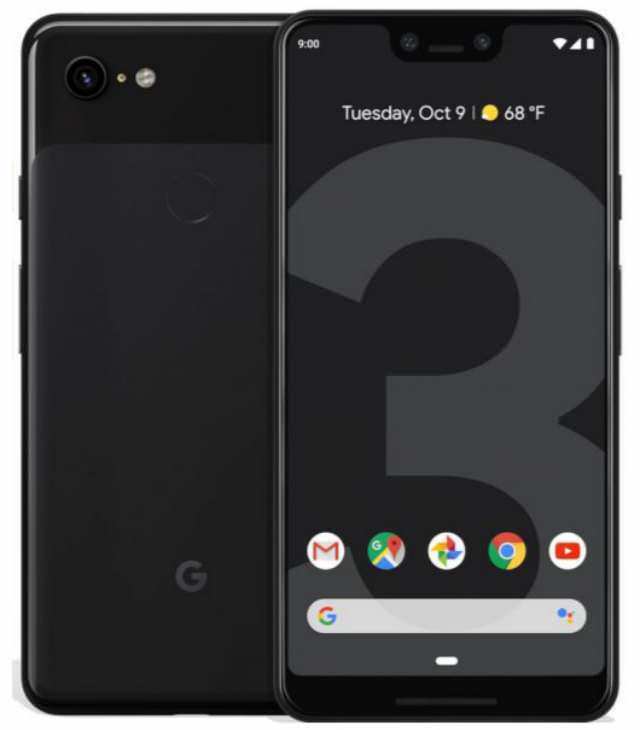 The Pixel 3 64GB and 128GB versions are priced at US$799 (€860 in Europe, £739 in the UK) and US$899 (€960 in Europe, £839 in the UK), respectively. 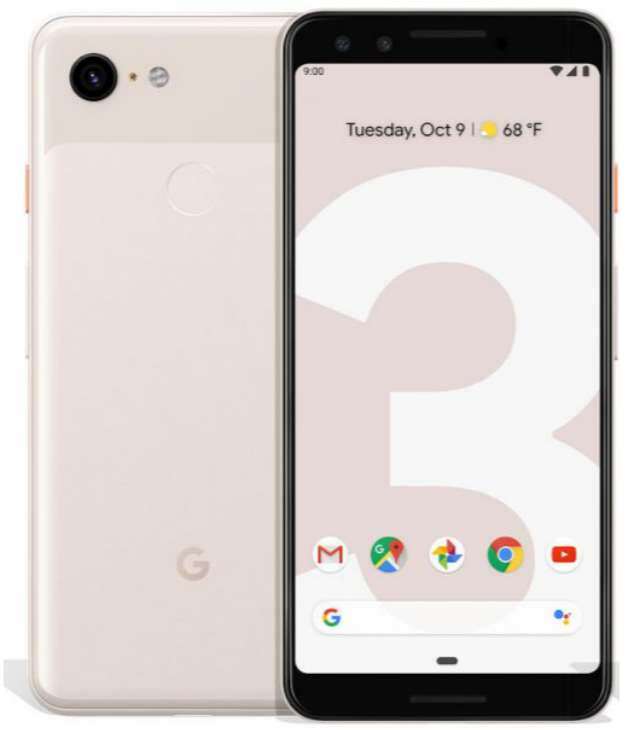 The Pixel 3 XL is $100 pricier for both versions at $899 (€960 in Europe, £869 in the UK) and $999 (€1,060 in Europe, £969 in the UK), respectively. The phones are available for pre-orders in the US.